The blazing Alabama sun beat down on Larry Hope’s shirtless back, burning him as he awaited his release. A former inmate of the Limestone Prison in Harvest, Hope was forced to spend seven hours chained in burning hot metal to a hitching post outside. He had no bathroom breaks, and guards taunted him about his thirst, only offering him water twice throughout the day. This was Hope’s second time on the hitching post, a place where they chained inmates who were disorderly during prison chain-gang work assignments. His first time lasted just over two hours long, with nearly unbearable pain due to the strained position of his arms raised above his shoulders. These incidents occurred in 1995, and after Hope got out of prison, he decided to sue the guards who he thought violated his Eighth Amendment rights by imposing cruel and unusual punishment. The case reached the Supreme Court in 2002, with the question of whether or not the prison guards should be granted qualified immunity, an unwritten doctrine under federal law which shields government employees from lawsuits that pursue financial damages. Hope argued the guards were wrongly granted qualified immunity in lower courts, and that he should be given a chance to pursue the lawsuit. Despite this, he ended up losing in a 6-3 decision favoring the guards who displayed constitutionally impermissible conduct. The basis for the majority's decision was that the guards’ actions did not violate "clearly established" statutory or constitutional rights of which a reasonable person would have known” based on the ruling in Harlow v. Fitzgerald, which said if a law was not clearly established “an official could not reasonably be expected to anticipate subsequent legal developments” or know his actions were unlawful. This same “clearly established” reasoning was used more recently by the Supreme Court in Mullenix v. Luna in 2015 to grant qualified immunity to Texas trooper Chadrin Mullenix, who shot at a fleeing suspect’s car from a highway overpass, killing the man. Such reasoning was also used to give an Arizona police officer, Andrew Kisela, the shield of qualified immunity in 2018 after he shot a woman who refused to drop a kitchen knife, following a 911 call officers received about her behavior. Portrayed in the cases above, holding government employees accountable for their actions through the judicial system can be extremely difficult. The Supreme Court has continually ruled in favor of the application of qualified immunity, which has strengthened the doctrine over time. Advocates of qualified immunity claim it’s a needed protection against costly and frivolous lawsuits. But if not a lawsuit, then what will hold government employees accountable for harming individuals? They also fail to account for the cost and time spent on the fight for qualified immunity to be applied. As University of Chicago law professor William Baude explains, “When the Court says that the Fourth Amendment is not enough to clearly establish the unreasonableness of most violations of the Fourth Amendment, it seems to be adverting to the problem of criminal vagueness in light of the fact that the Constitution is not written out as a legal code.” It’s not enough to use a violation of the Eighth Amendment as reasoning to sue an officer who chained an individual up in the hot sun for seven hours, for example. To achieve the standard to sue, it would have had to been specifically written in the Constitution, or established by the courts, that this form of punishment was unlawful. The American Civil Liberties Union and Reason Foundation alongside many other criminal justice advocates have joined forces to hold government employees liable for wrongdoing. 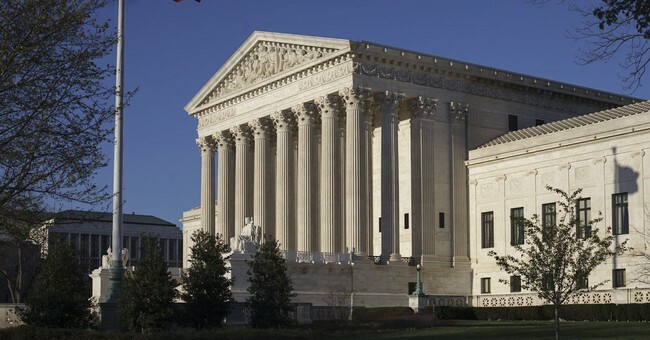 In an amicus brief submitted on July 11, they asked the Supreme Court to revisit the doctrine of qualified immunity, in hopes of future reform. In their submission to the high court, they demonstrated that qualified immunity has failed victims of abuse and eroded public trust in police due to the vast amount of cases where police have gotten off due to qualified immunity. If a private individual violates your constitutional rights, they will likely be held liable for damages in the court system if you decide to pursue a lawsuit. But if that person works for the government, the standards drastically change. They are shielded by an invisible mechanism which has proven to be incredibly difficult to break through in order to bring them to court. Qualified immunity is an unjust standard which allows people in positions of power to get away with irresponsible behavior that harms people. A changed standard of higher accountability would act as a deterrent for those who would otherwise not think twice about risky behavior. Until changed, people will continually be let down by the justice system and government officials will be untouchable under the law. Molly Davis is a Policy Analyst at Libertas Institute, a free market think tank in Utah. She is also a writer for Young Voices.